INTRODUCTION: There is no clear consensus on the effect of computer games on laparoscopic surgical performance, this maybe due to the type of games used. 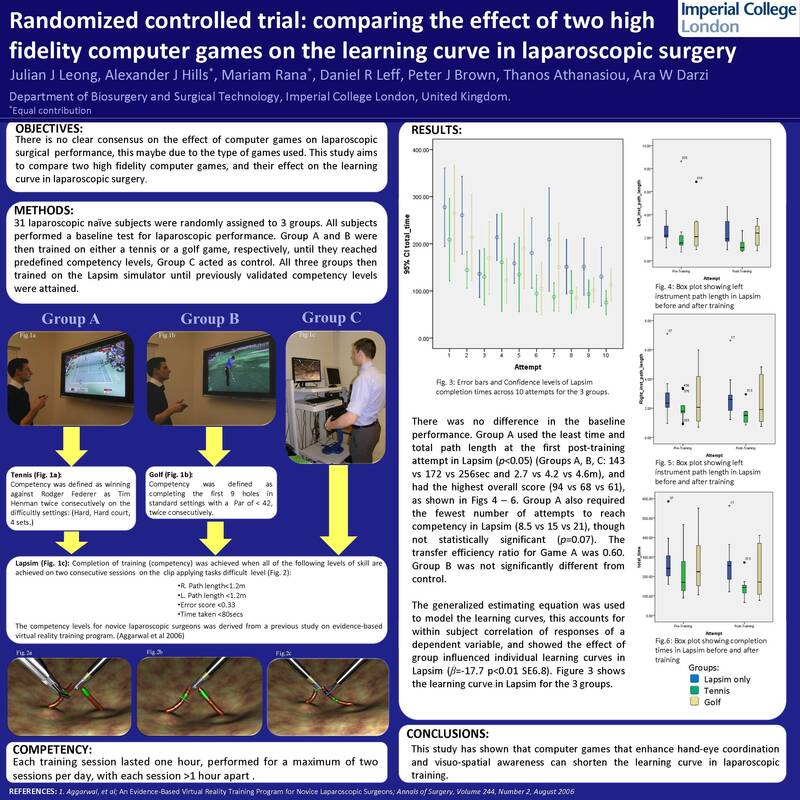 This study aims to compare two high fidelity computer games, and their effect on the learning curve in laparoscopic surgery. METHODS AND PROCEDURES: 31 laparoscopic naïve subjects were randomly assigned to 3 groups. All subjects performed a baseline test for laparoscopic performance. Group A and B were then trained on either a tennis or a golf game, respectively, until they reached predefined competency levels, Group C acted as control. All three groups then trained on the Lapsim simulator until previously validated competency levels were attained.